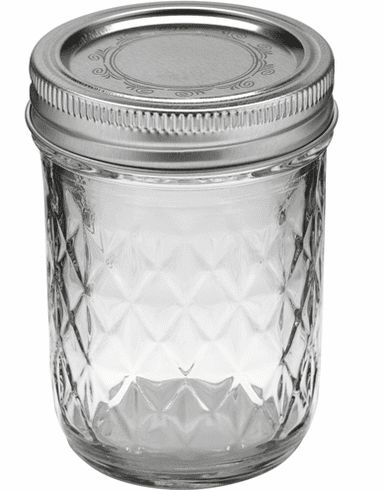 Made of tempered clear glass and comes with a canning lid. Wide mouthed. Holds 8 oz. Great for canning your own homemade applesauce, pickles, and sauces! You'll be well stocked for winter meals and seasonal gift giving. Note: Stock photo used. Actual product might vary slightly.